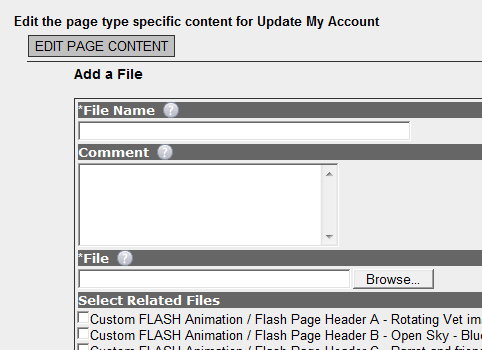 The "Files" page is a tool include pdf forms or word documents to your users. Start by logging into your Site Builder. We have not included a premade files page with your site, but you can add a page and choose File Page as the page type and finish following instructions below. Here is a simple tool to make creating or editing your "Files Page" simple. Simply click on Add a File on the right. You will fill in File Name, Comment and add your file either from your computer or a file that is already uploaded. Click on Save/Upload then close the window.